← Love Research? Want to Help your Peers? Apply for Collins Library positions by February 25! 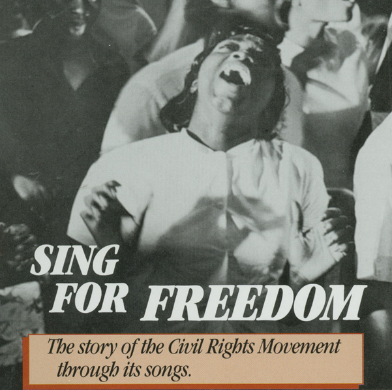 Celebrate Black History Month by listening to songs of the Civil Rights Movement. The playlist, available from our streaming service Music & Performing Arts Online, is compiled from the Smithsonian Folkways archive of recorded performances. These freedom songs draw from spirituals, gospel, rhythm and blues, and calypso forms. The selections illustrate the power of songs that focused people’s energy in the movement. This entry was posted in Did You Know?, Diversity and Inclusion Resources. Bookmark the permalink.